Modern cars come equipped with plenty of technologies that make driving safer and more fun. 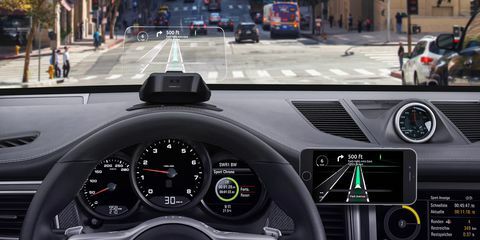 In fact, car companies are investing heavily in new tech and gadgets for cars, including self-driving modules, better in-car entertainment systems, and new automation features. More importantly, these new technologies can be found in even the most basic cars on the market today. More in-car gadgets mean more complications. Having more features and gadgets usually leads to more things breaking down, doesn’t it? Well, it doesn’t have to be that way. Similar to the car itself, good maintenance and some useful tips and tricks – which we are going to review in this article – will help you maintain the gadgets in your car without hassle. I know how exciting it is to add new gadgets and make modifications to a car, especially if you are really into cars and mods. That said, making changes to the electrical and computer systems of modern cars is not going to be as easy as modifying older models. At the very least, you have to be extra careful when making changes to the car. Changing the in-car entertainment system, adding new speakers and amplifiers, or even adding a couple of new screens to the car are possible, but you have to choose compatible gadgets and take steps to make sure that the modifications are done correctly. Simply tapping into the existing wiring of the car is not always enough. You also want to be careful with the sensors in your car. Sensors monitor everything from the ABS to the car’s use of electricity, and bad modifications can cause these sensors to malfunction, creating a false alarm and even rendering the car unusable. The issue gets even worse when the new wiring isn’t done properly since you now face the risk of short circuits. Fortunately, modifying your car is still possible. Many car dealerships and brands are starting to offer optional accessories. Third-party brands are also making products that are meant to be natively compatible with modern cars, complete with wiring that is plug-and-play, so you don’t need to make unnecessary modifications to the car. Using a quality battery is a must. Ideally, you want to stick with the recommended battery for the car. Depending on the type of car battery you use, you also want to go through the proper maintenance steps to prolong the battery life. Of course, sticking with the ideal battery maintenance isn’t always possible, especially when you have additional gadgets installed. If you do need to replace your car battery with an aftermarket one, make sure you go for a quality battery instead of a cheap one. You are not only protecting the battery itself, but other devices connected to the car’s electrical system. Cheap batteries could cause serious problems, and those problems can quickly become expensive to fix. Quality batteries also provide a more stable current for in-car technologies. You eliminate the risk of accidentally damaging the gadgets in your car because of spikes in the current. The battery will also charge in a more seamless way with the built-in alternator, giving you a problem-free experience from the moment the new battery is installed. It is important to note that quality car batteries are not as expensive as you think. They last longer, so you actually save money in the long run. They also come with more benefits, and you can find more info here. Going with quality car batteries is the only way to go if you want to maintain the technology your car has. Similar to the engine and other parts of the car, regular maintenance of your car’s gadgets is always better than waiting until something breaks down before doing a big repair. The former is far more economical in the long run, plus today’s car gadgets are very easy to maintain. Checking the wiring, making sure that all sockets are properly connected and sealed, and checking the breakers are simple things you can do to keep your in-car gadgets functioning properly. If you use a maintenance-free battery, all you need to do to maintain the battery is checking its voltage and current periodically. Some in-car entertainment and control systems also come with firmware that can be updated. Firmware updates are usually done when you bring your car in for a service, so make sure you stay on top of your car’s routine maintenance schedules to keep the in-car computers and gadgets healthy. If you do add modifications and new gadgets, mention them when servicing the car. For technologies that affect the car’s performance, going the extra mile is well worth it. Make sure all sensors (i.e. engine temperature, ABS sensor, pressure sensors, etc.) are working properly. You can check the status of these technologies using an OBD-II scanner or by bringing the car to an authorized service center. Even with the best maintenance routine, you may still run into issues with your car’s gadgets, especially when you have a lot of mods installed. The next thing to do is knowing how to anticipate potential problems by recognizing the signs. There are warning lights on your dashboard, sounds appearing from different parts of the car, and other signs to anticipate. If you have an OBD-II scanner, you can check the car for more than 4,000 error codes. These error codes are very specific, which means you will know exactly the kind of issues you face with the car. You can even anticipate potential issues based on the OBD readings. Even better, there are OBD-II apps for easy remote monitoring from your smartphone. Sounds are a bit trickier to notice, but you’ll get used to recognizing potential problems from weird sounds after a while. Besides, these issues are usually avoidable as long as you maintain the rest of the car properly. Now that you have these tips and tricks in mind, you can maintain the gadgets in your car – and the technologies that come with the car – without a problem.